An international poll by Internet-based market research firm YouGov found that 85 percent of respondents in the Philippines thought that globalization is a force for good for the world. That is the second highest among 19 countries included in the online survey, and comes only after Vietnam where 91 percent of respondents had a favorable view of the "increasing movement of products, ideas, money, jobs, culture and people around the world." The average proportion of respondents saying globalization is good is 63 percent in the 19 countries. "Unsurprisingly, the countries that are the biggest enthusiasts of globalization are the ones that have benefitted most from it – the poorer nations of East and Southeast Asia," said YouGov. In the said region, belief in globalization reaches at least 70 percent in all countries. In a report published in its November 19 issue, The Economist magazine presented a graph showing that the biggest supporters of globalization are also countries that posted the biggest economic gains between 2011 and 2015. However, a closer look at the poll numbers reveals that Filipinos have mixed attitudes towards different aspects of globalization. 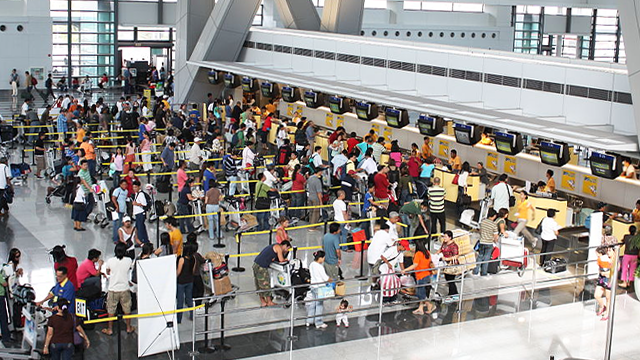 Along with Vietnam, the Philippines leads in keeping a favorable view of immigration. About 54 percent of respondents believe that immigration enriches traditional culture compared to an average of 32 percent for the 19 countries. Meanwhile, only 46 percent of Filipino respondents believed that the Philippines should import the things it needs from other countries, with more than half saying the country should strive to meet all its needs without imports. On average, 55 percent of all countries surveyed said they are more open to importing goods from others. While Philippine respondents are open to freer movement of people – a tenth of Filipinos live and work abroad after all – they are less enthusiastic about importing more goods that could compete with local producers. It's a position that makes a lot of sense considering the country's current economic circumstances.